Discover the easiest, the more travel friendly and more travel friendly way to brew coffee. If you're looking for a machine to travel with, you just found it ! The aeropress is a 15 cm long Syringe, with a very fine filter at the end that allows you to brew all kind of ground coffees. 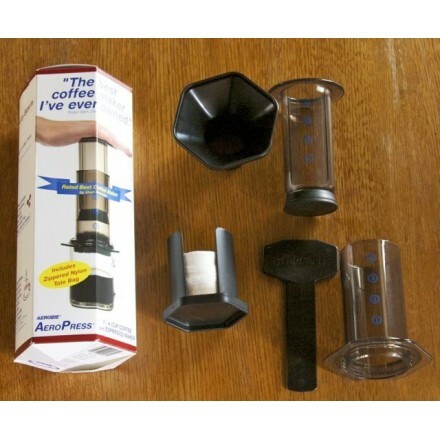 You can use it to prepare two mugs of coffee. It is so popular that world areropress championship exists now. You cand find here the documentation if available for you country.